Many of us have had conversations in our childhood about things we want to accomplish someday. For me one of those things was to write a book on my life. I think the idea came to me in middle school . This would be a conversation that I would continue to have with friends and family for many years. Then about three years I started actually writing a book on my life. Then on Sunday I finished! I self published my book after only talking about doing it for about twenty years. 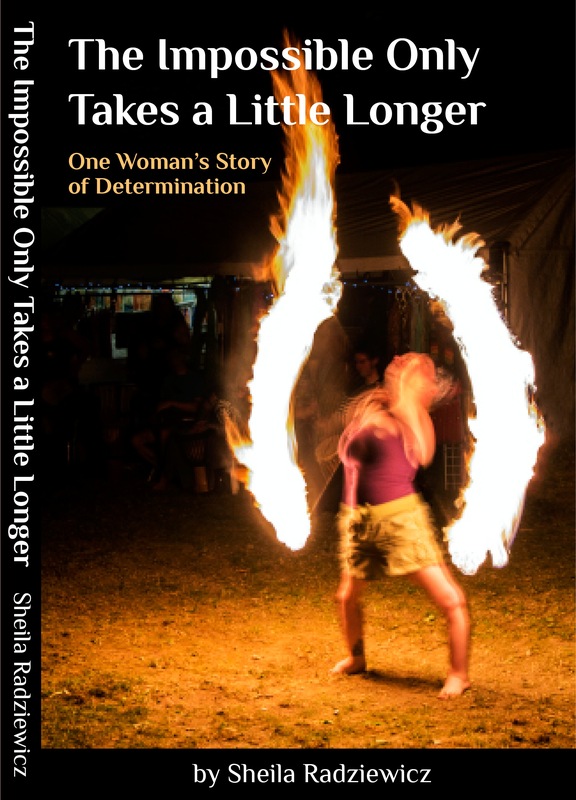 “The Impossible Only Takes a Little Longer: One Woman’s Story of Determination” is now available on Create Space and on Amazon. Currently it is only available in paperback. I am working on formatting it into e-book on Kindle. The book has stories, poems and pictures that brings the reader through challenges and success of my life. If you’re looking for a story that will inspire you or someone else in your life pick this book up. As I have been told my friends before “I’m just being little me. I never tried to be inspiring.” That was when they responded, “That’s why you are so inspiring Sheila. Keep being you!”.